We received a product in order to conduct this review. Although a product was received, all opinions are our own. Today's Must Have Monday is a great product that we have been a fan of for quite awhile. You have probably seen Snackeez on TV, and you have probably wondered if this product is as great as it looks. Guess what? It is! 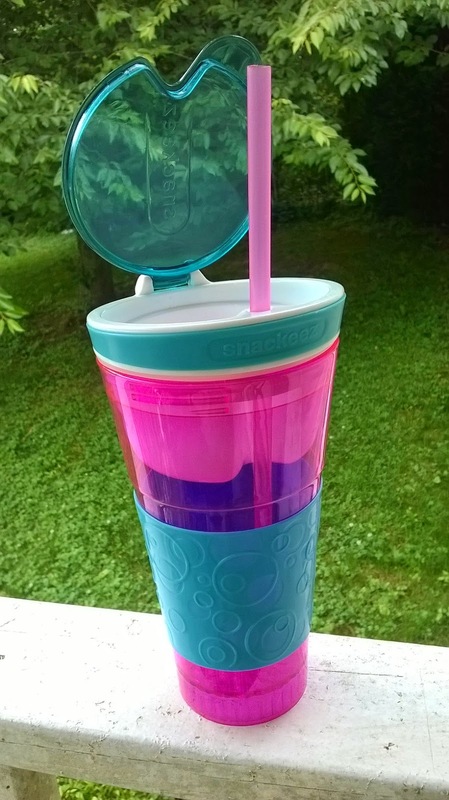 The Snackeez is a drink cup and snack container in one, and it's great! Snackeez hold 16 oz. of drinks and 4 oz of snacks all in one cup, convenient and easy! My boys love Snackeez, because, well, it's cool! I love Snackeez because it's no mess! My boys are never able to eat in the car, because I hate the mess, but now, with Snackeez, I am okay with it. The snack cup has a lift top lid, and it latches completely, so I don't have to worry about spills. Yay! There are just some products that are made that moms adore, and Snackeez is one of them! 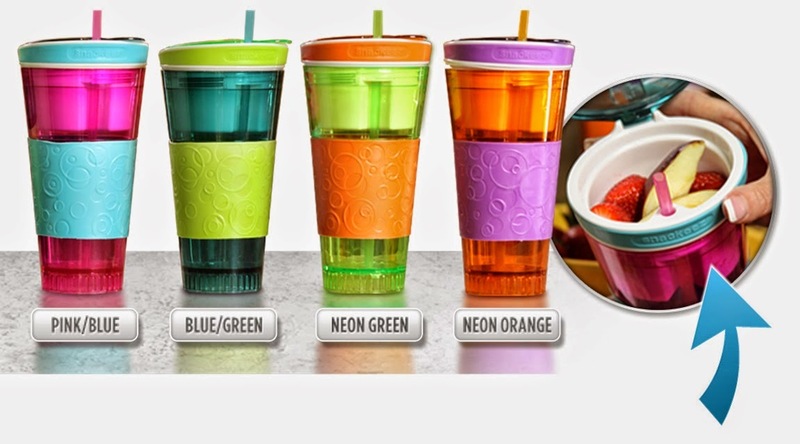 Snackeez comes in four different color varieties. I even heard that if you order one, you can upgrade to a light up version. Now, my boys would REALLY love that! I have really liked car rides, movie nights and trips to the zoo since we got our Snackeez. I definitely need to order more before we go on our vacation, so both boys can have one. This thing is going to be a lifesaver. Thanks, Snackeez! You can buy Snackeez online, or at your favorite local retailer for around $9.99. To get yours today, visit https://www.getsnackeez.com/.